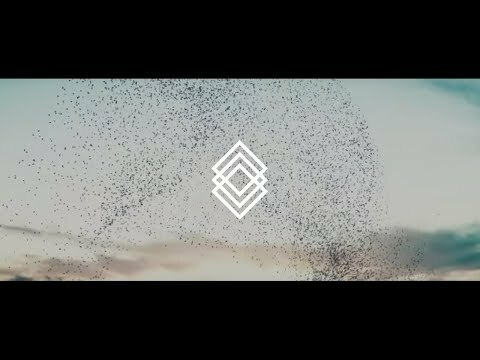 Decentralized governance is the next evolution of the blockchain. The team looks strong however, KYC needs to be updated for both team members. I will update my rating once KYC has been passed. DAOstack is a promising project with an all-star team which aims to create a simple framework for creating and managing DAOs (like Wordpress for non-blockchain apps). There is already a working product on a testnet and the team plans to release it on a Mainnet in April. DAOstack has partnerships with other solid blockchain projects such as Endor, Sapien Network, and Gnosis as well as with funds and software development companies. Still there is a lack of information about use-of-proceeds and no roadmap. Competition is low in this sphere; there is only one direct competitor, Aragon, which has made 3x since its ICO (current marketcap of $77M), and it has almost the same hardcap ($30M) as DAOstack. I am always skeptical about projects with a lot of hype. DAOstack is one of them. On the other hand, the drawbacks include low token allocation to buyers and a relavitely weak team (not bad but not great either). I believe the team is pretty strong with a proven record in blockchain technology and entrepeneurship. They are also backed by a strong team of advisers. DAOstack does have some heavy competitors in the field, such as Aragon. Additionally, it is hard to give a verdict about the fact that DAO's can gain enough traction in such a volatile ecospace, such as blockchain. Lastly, the team has a very active Github repository and DAOstack may be in a good position to be the one to stimulate growth in the field of dApp and DAO developments. I think governance is one of the key problems that remain to be solved for decentralized technologies. It is important that projects like DAOstack and Aragon continue pushing at the frontier of decentralized governance. They seem to be taking a pragmatic approach to providing technology people can use - a foundation of protocols for governance, libraries for use in applications, and an Alchemy frontend that can be used by non-programmers to build a DAO. They talk a lot about holographic consensus to avoid the horrors of token plutocracy - tokens that can be accumulated can be used to promote ideas for voting, but not for voting itself. Failed promotions cause loss of coins. However it is not completely clear to me how the voting system works - how do you identify participants in the system and ensure there isn't double voting. My guess is there isn't any identity, just reputation. The founders are basically fresh out of university without much industry experience - although they sound like very smart folks, you don't do String Theory if you are just mediocre at math. Other team members do have much more industry experience, including blockchain projects. The project has a significant amount of code on github, and an MVP working on a testnet, it is clear this is not vaporware. I hope they can carry forward this work and support other blockchains that are more compatible with free use such as, yes you guessed it (if you've read my other reviews) EOS. DAOstack has some smart people solving a real problem. Take the Ethereum Foundation as an example, it is cashed up and has access to more developers than most organisations - yet it will take them 3 years to roll out a system upgrade. Its main shortcoming is a disconnect between resources and governance. This is true for the entire open source community and a hindrance to the adoption of DAOs. There is no CEO who can manage the allocation of resources (be it $ or people) - DAOstack solves that problem!